Discover the latest digital agency jobs in USA! Browse the results on this page to see up to date digital jobs in 2019 perfect for candidates with a real passion and aptitude for all things digital. DAN Job Board is 100% dedicated to digital agency professionals in the US. Kobe Digital is looking for a Graphic Designer to join their office in Los Angeles. Blue Water is looking for a Marketing Director to join their office in San Francisco. Beyond is looking for a Technical Architect to join their office in New York. AMP Agency is looking for a Media Coordinator to join their office in Boston. Boston Interactive is looking for a Senior User Experience Designer to join their Boston office. AMP Agency is looking for a Creative Director to join their office in Los Angeles. Y Media Labs is looking for a Design Lead to join their office in San Francisco. 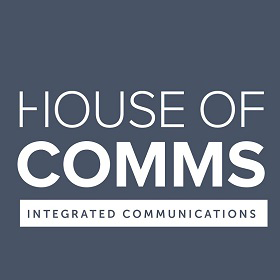 CommCreative is looking for an Account Director to join their dynamic and growing team. Wpromote is looking for a Content Marketing Manager to join their office in Chicago. Ready Set Rocket is looking for a Senior Digital Strategist to join their team in New York.